SANTA BARBARA, Calif., January 23, 2019 — Suzanne Perkins and Ivor Miskulin of Compass just sold this stunning Montecito contemporary estate with quintessential indoor/outdoor living, panoramic ocean views, approx. 8.24-acres, 5 bedrooms, 2 offices, guest house, a cabana/gym and infinity pool. Congratulations to our wonderful Sellers & Buyers! The property boasts breathtaking views of ocean and mountains greet you upon arrival to this extraordinary, contemporary estate nestled in the hills of Montecito. This 8.24-acre property features quintessential California indoor/outdoor comfort and luxurious Balinese and Asian-influenced design. Incorporated into the 8.24 acres is an attached lot that offers a perfect building site complete with panoramic ocean views. This remarkable 5-bedroom 10-bath residence is approx. 8,188 square feet. Torii gates invite you across an expansive pond to the front entry where, through a glass wall the heart of this remarkable residence, the Great Room, is seen. With flamed black limestone, distressed oak floors, bamboo ceilings, and accents of exotic afrormosia wood, the space is warm and impressive. The immense, south-facing glass doors slide away, opening to a veranda with a gas fire pit table, dining area and panoramic vista stretching nearly 50 miles along the coastline. 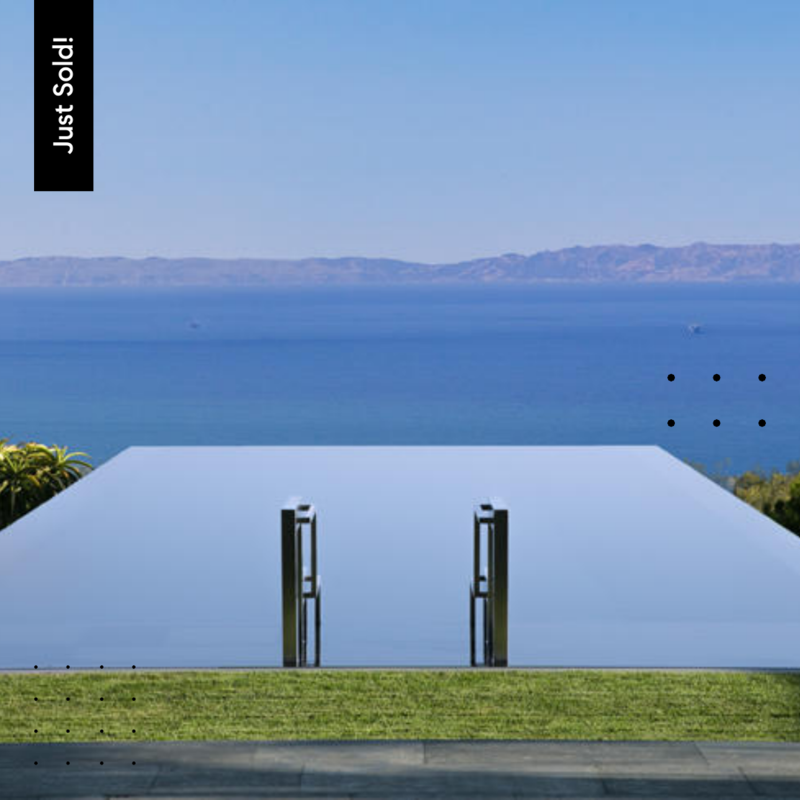 The grassy lawn leads to a one of a kind basalt pebble infinity pool that blends seamlessly into the ocean view.